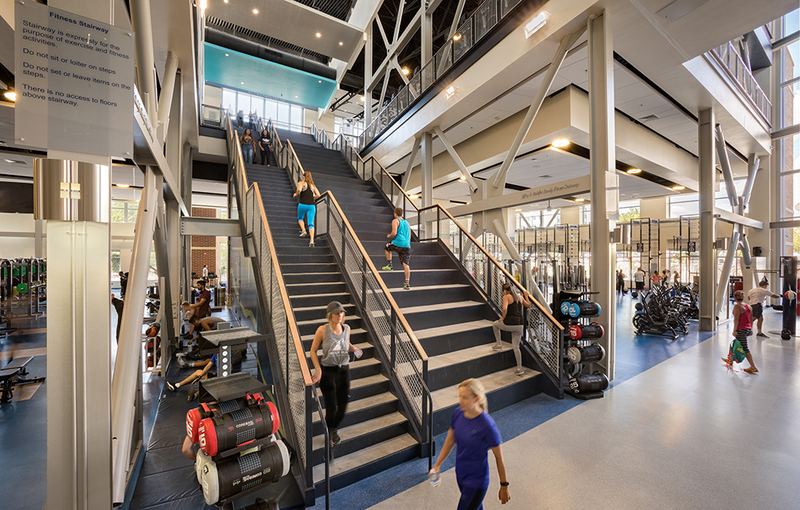 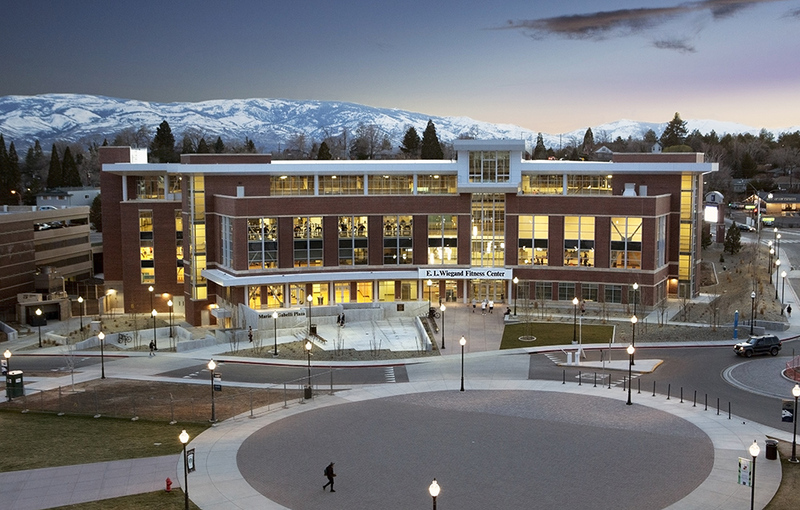 The E.L. Wiegand Fitness Center is a 108,000-square-foot, four-story fitness facility that reflects modern trends, student needs and innovative design as well as the generosity of Nevada citizens. 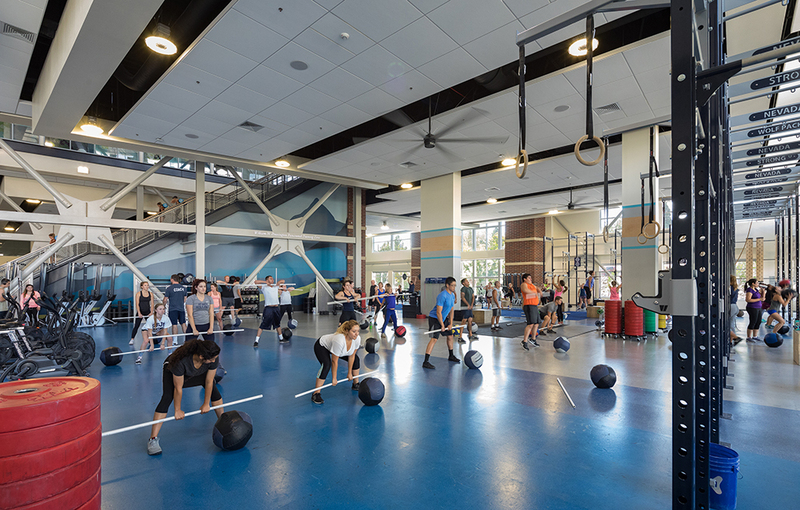 It features the latest in Cross-fit training equipment, stationary fitness equipment, weightlifting and other strength training equipment in addition to flexible spaces for Pilates, yoga, Zumba and aerobics. 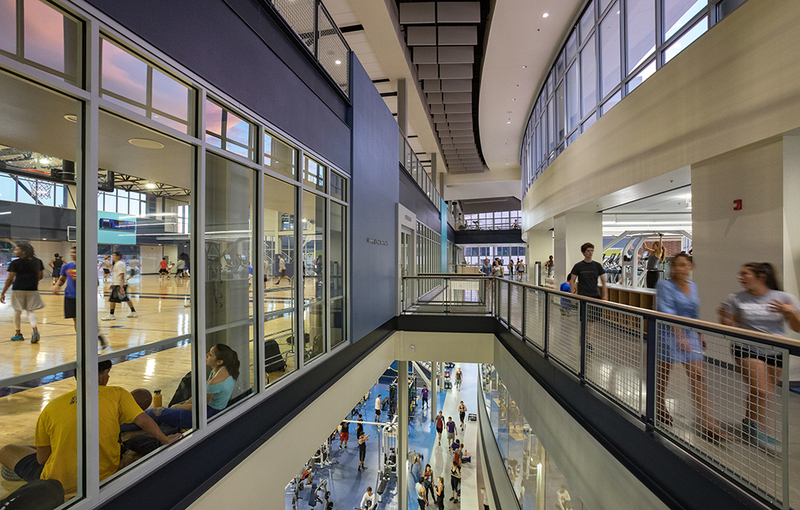 There is a 200-meter, 1/8th-mile elevated running track wrapped around a 3-court basketball gymnasium adjacent to a unique set of indoor “stadium stairs.” The facility has office areas for fitness leaders and staff plus standard amenities like lockers and shower rooms. 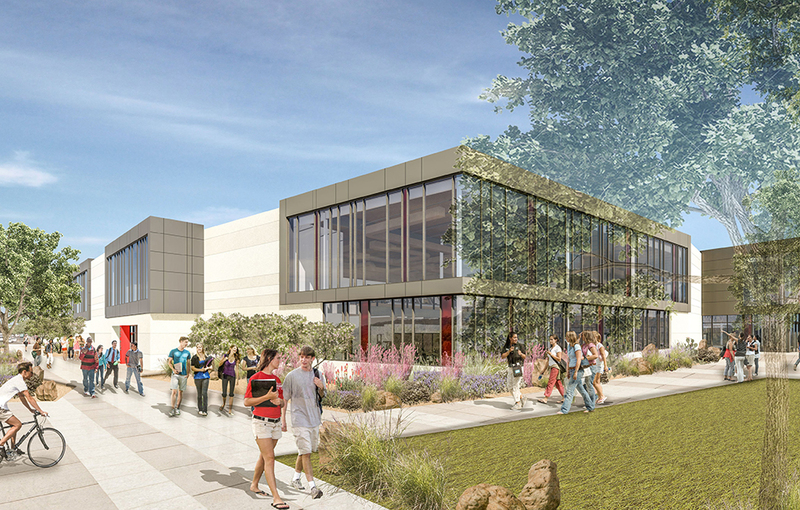 Below ground is an 85-space parking garage, added to replace metered parking in that location. 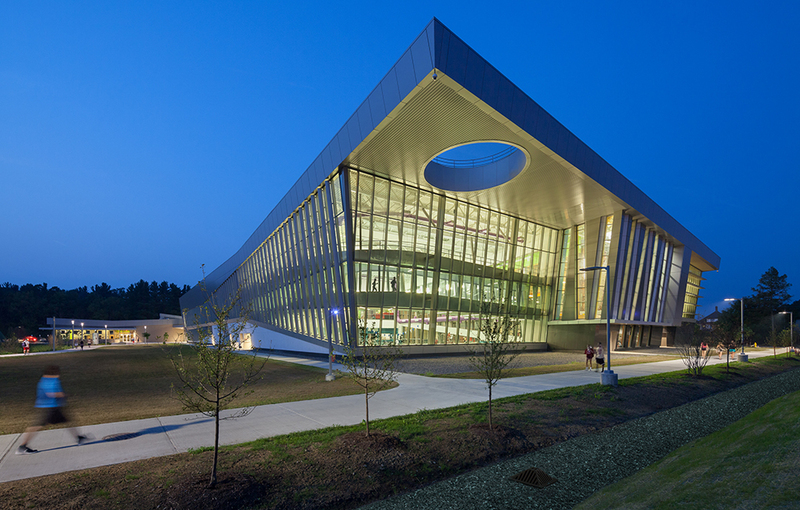 To maintain efficiency while using maximum natural lighting, the facility was designed with a range of strategies to provide views, control glare and conserve energy. 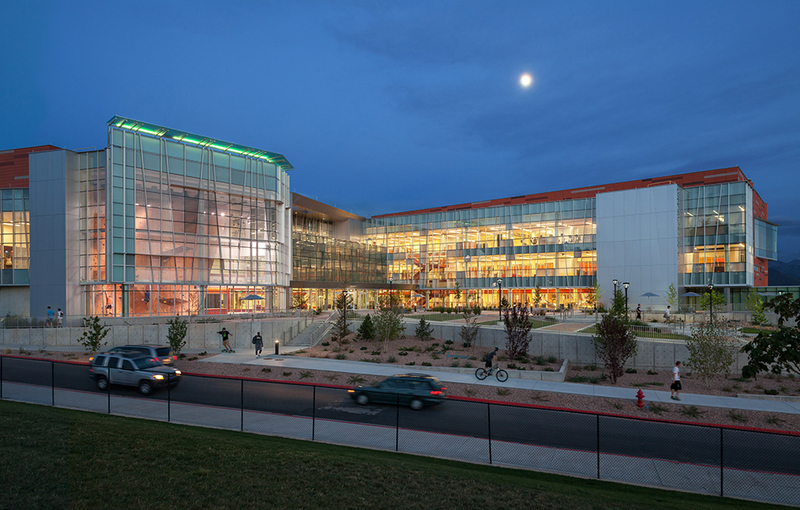 The exterior utilizes high-performance glass to maximize transparency for views and minimizing heat loss and solar heat gain. 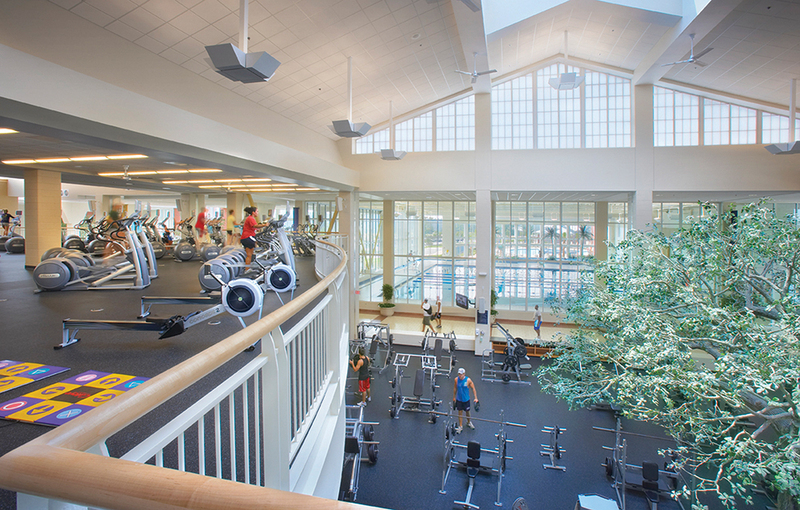 Use of energy efficient light fixtures greatly reduced energy usage below code allowances. 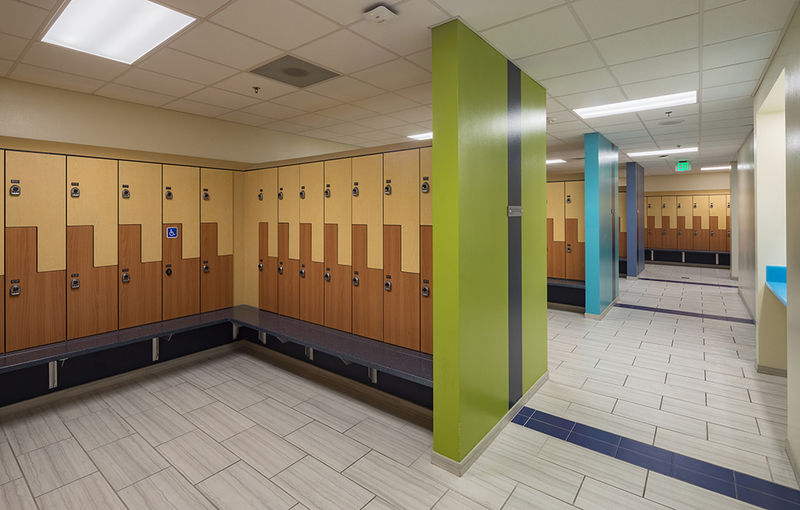 Automatic control of fixtures through a building energy management system as well as by daylight sensors and occupancy sensors also contribute to additional energy savings. 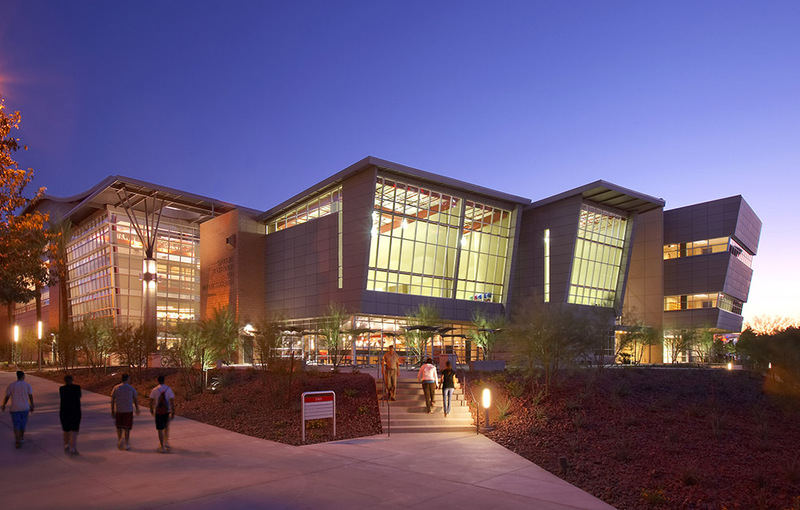 High-performance wall and roof envelopes were used to maximize energy conservation which was achieved with continuous air barrier and insulation minimizing heat transfer. 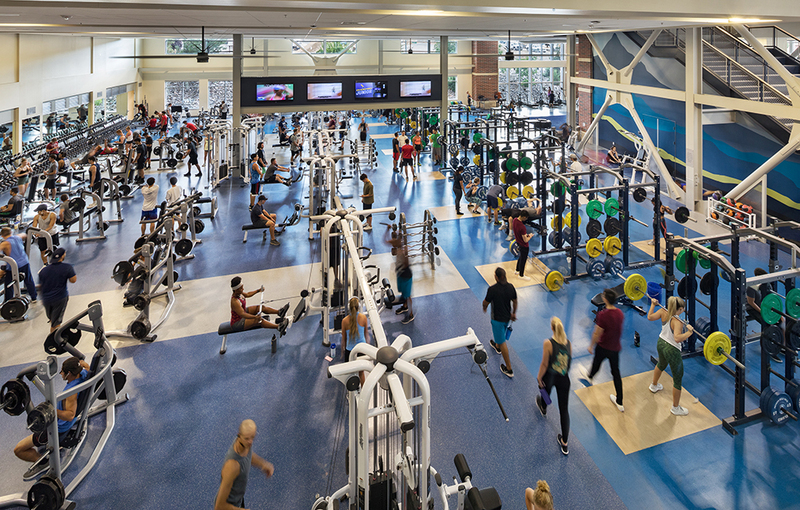 University students voted to approve a fee to help build the Fitness Center. 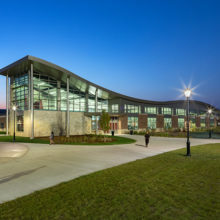 The cost was also supported with gifts from community foundations and individuals, capital funds and state tax bonds. 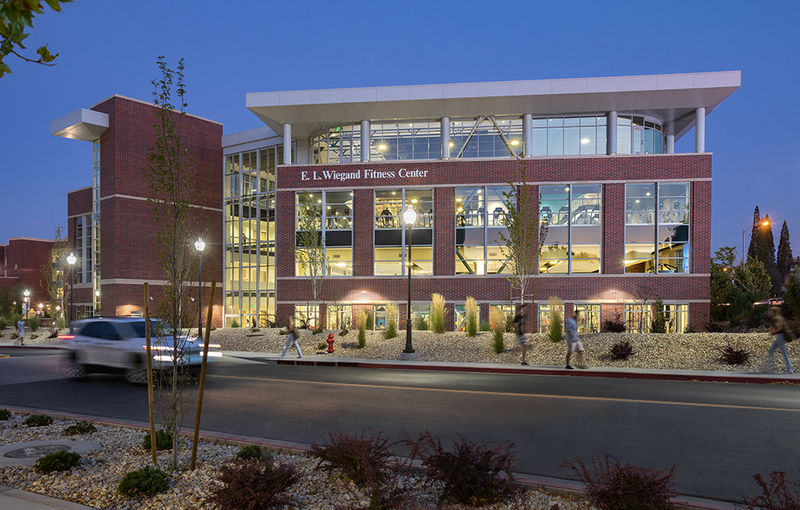 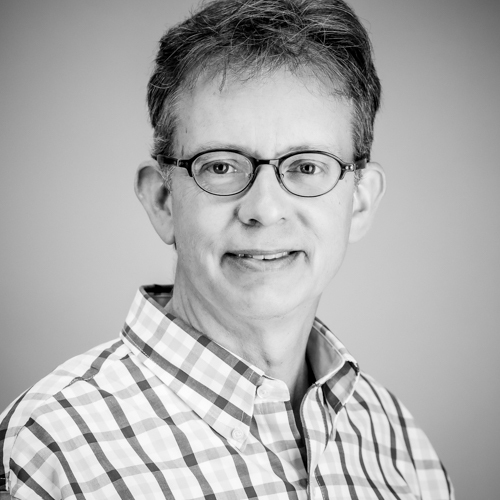 The building is named for Edwin L. Wiegand, an entrepreneur and inventor whose foundation, established after his passing, has given over $50,000,000 to Nevada projects and causes. 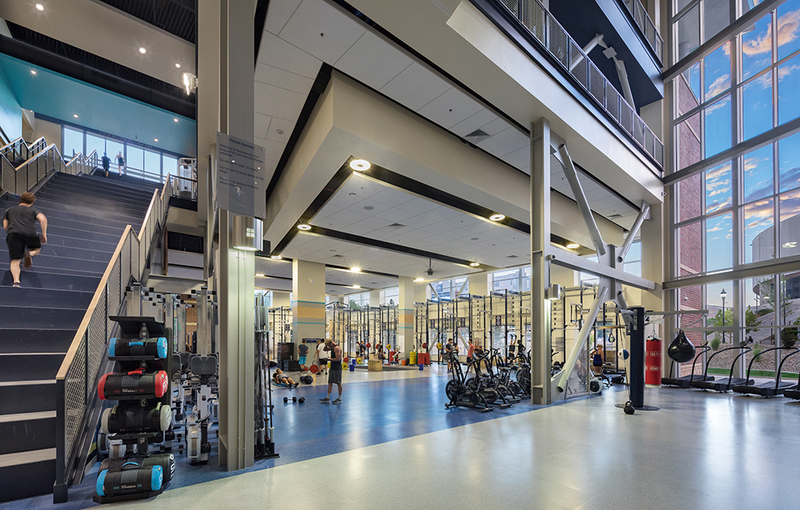 A state-of-the-art fitness center benefits the University, helping them compete for top talent across the country and the world – surveys show that amenities like fitness facilities attract and retain high-performing students. 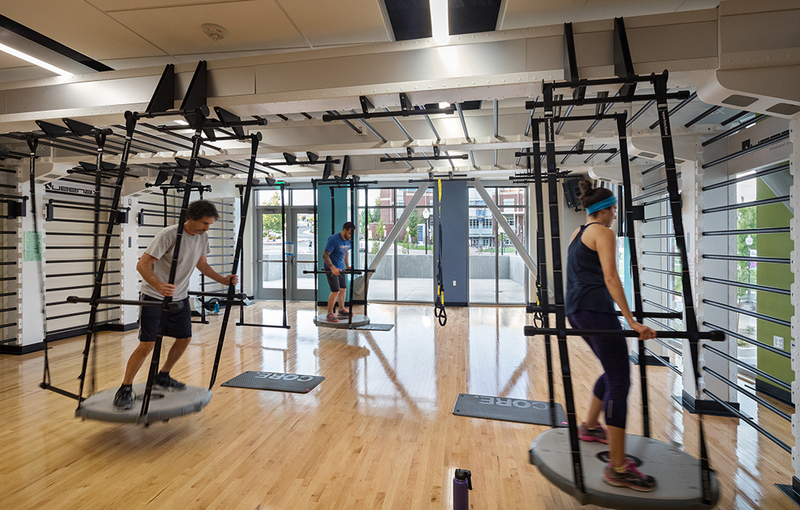 It also was designed with input from students, to support their needs and reflect current knowledge in an ever-evolving fitness industry. 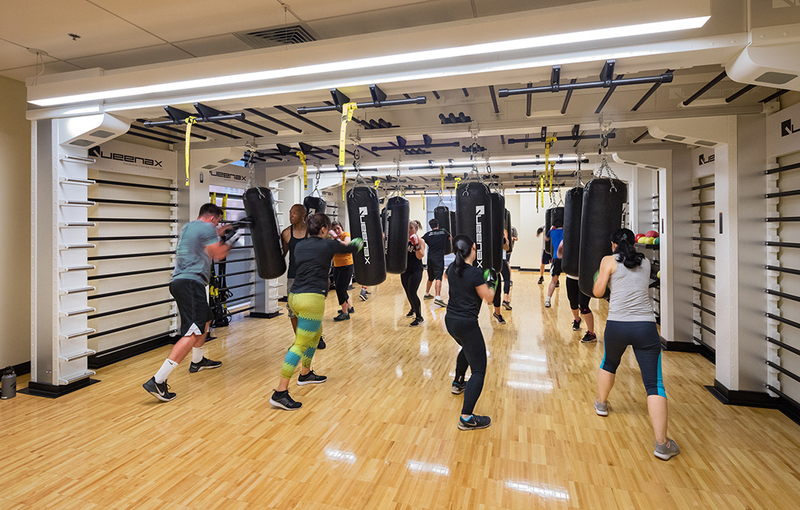 Studies prove the connection between good physical health and learning. 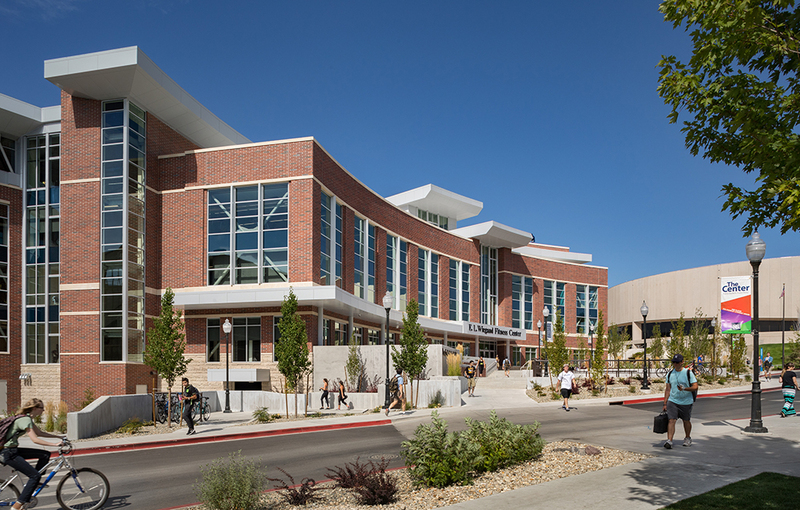 Having a place to access the latest equipment and training techniques is important to UNR students – over 4,000 of them (there are 21,000 students total) used the facility on its first day of operation.